The classic stretch of Highway One that runs from Monterey down through Big Sur, levels out to the headlands where Cayucas sits, trapped in amber, a quaint testimony to the pre mall-encroachment days of California. 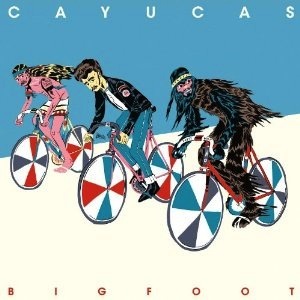 Cayucas, the band, has crafted a seamless, concise debut album Bigfoot. With its references to postcards and letters, and lots of riding of bikes, it’s a sepia-toned snapshot of a different time.